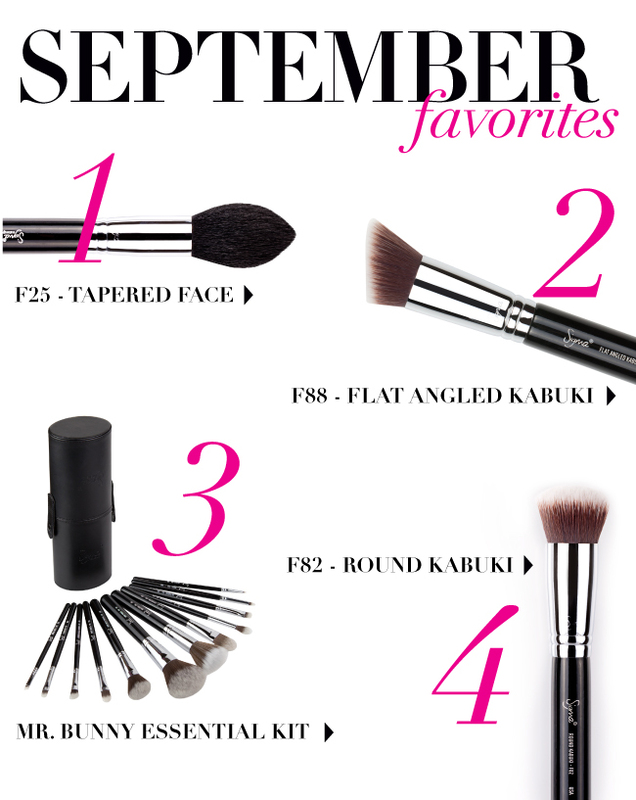 Sigma Beauty Blog: September Favorites + New Product Sneak Peek! October already!? Yes! And that means it is time to mention a few favorite Sigma products! Each month beauty bloggers and YouTube’s top makeup gurus always have a favorite product from Sigma (can’t say we blame them!) and we love sharing with you what each one of them are. Keep reading to find out which products were most loved for the month of September plus a sneak peek at a new Sigma product being launched this fall! One of MakeupbyCamila's favorite brushes for the past few months has been the F88. She said, "I am loving this brush! It is perfect to apply and blend concealer under the eyes, sides of the nose, around the mouth and for overall foundation application." Sarahbelle93x has been getting a lot of use from her F82. "I use this to apply my foundation. It's amazing how great this is for applying!" What were your favorite Sigma products for September? P.S. We typically do a giveaway for each monthly favorites post but this time you are going to have to hold out for a few weeks because we have something bigger and better planned! Stay tuned! We're very excited to share more details soon, Nicole! I'd love to have my own Signa brush.. I wish I could have one. I think the synthetic precision brushes are great. My favorite is the P86, the taper is great for applying concealer around my eyes. The P82 is just like using a fingertip, but better! F80 and F82 are my favorites face brush! do you know...i don't own the f25 brush!?! isnt that obsurd! i have been wanting to try it for so long, but just kept putting it off. i cannot wait to see what you have in store for your fans! i am looking forward to all of the upcoming products!